Recently, my family has joined the unfortunate ranks of those who have been impacted by Alzheimer’s disease. My mom started showing early signs of the disease a few years ago, and it has slowly and stubbornly progressed ever since. The toll that Alzheimer’s is taking on my mom is obvious and devastating. Less obvious, but just as significant, is the impact it is having on my dad. As my mom’s primary caregiver, it’s been said that my dad must ride the world’s tallest, fastest and scariest emotional roller coaster each and every day. Sadly, in my observation, this is absolutely true. 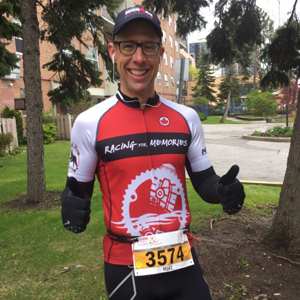 Mike shows off his new Racing for Memories kit at his first race of the season, the GoodLife Toronto Half Marathon on May 7, 2017. Unlike other devastating diseases, I feel like Alzheimer’s is somewhat under the radar. People who are impacted by it tend to keep it private, and there seems to be a general lack of understanding about the disease, its symptoms and the approaches to treating it. Sadly, I think a lot of families even hide the fact that their loved ones have been affected by Alzheimer’s because of this lack of understanding. 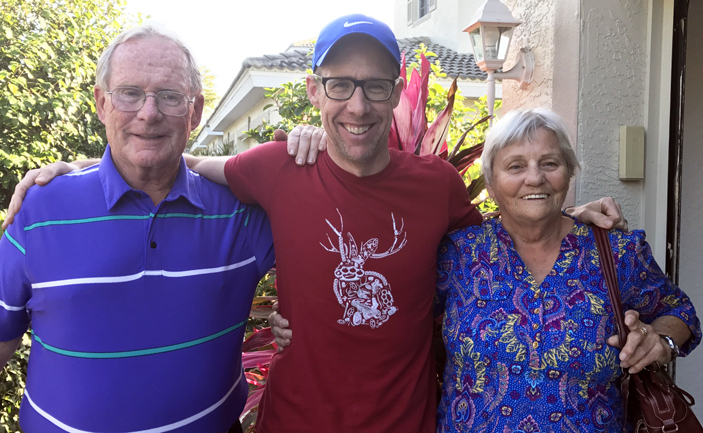 After seeing my parents struggle with the challenges of Alzheimer’s and observing the need to increase understanding about the disease, I decided to do something about it. My goal was to find a way to pay tribute to my parents for all that they have endured and to raise awareness about the horrible effects of this disease. To do that, I’ve launched a campaign called Racing for Memories. 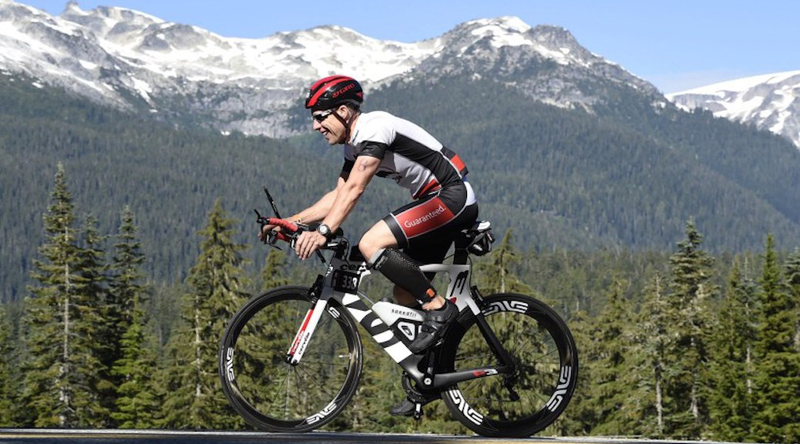 The idea is to have people challenge themselves to take part in endurance racing events and, in turn, fundraise for Alzheimer’s. If you’d like to learn more—or provide your support—please check out my website at www.racingformemories.com.